Private transportation services in Chicago, IL, are the best way to start off a vacation. We offer airport transportation, prom transportation, wedding transportation, and more. Contact us to request a service from a trained chauffeur. Travel to or from the airport in style with our prompt and dependable airport limousine service. Relax in one of our luxurious vehicles and we'll take care of you and your luggage. We service Midway, Chicago O'Hare, Gary, and Paulwaukee airports. Getting ready to dance the night away and want to arrive in style? Making a grand entrance is easy when you hire us. 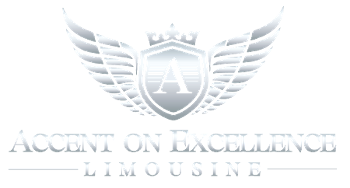 Ride along with Accent on Excellence Limo, and you are sure to be the queen or king of the night. Let us accent your wedding memories with our excellent wedding limousine service. Riding in one of our limos will certainly add style and class to your special day. Every wedding is different, so we cater to just yours. Chicago is home to your favorite sports teams. Show your support and see the game by booking one of our courteous drivers. We go beyond simple transportation, and even help you find tickets or reserve a spot at your favorite restaurant.